This group is for children 5 years and upwards who have never ridden before and is designed to provide good instruction in the basics. Riders will learn to halt, walk, trot, steer and carry out balancing exercises. Riders will also learn to walk and trot on grass and tracks out hacking. In order to move up to the next group, riders must be able to ride three ponies to the same standard and be able to walk, trot and steer without a leader. These lessons are available in half hour or one hour sessions depending on the days. 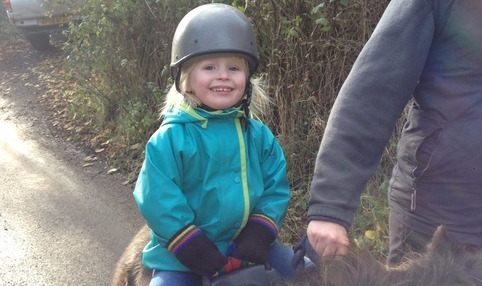 Parents or guardians are required to lead the pony under guidance of the instructor. This children's group will work on improving the independent control of the pony in walk and trot off the lead rein. Riders will also learn to sit to the trot and learn to canter. In order to move off this group riders must be able to ride three ponies to the same standard in walk, trot and canter without a leader. They must be able to maintain sitting trot for one long side and be able to keep their pony in halt when other ponies move away. These sessions are available in half hour or one hour sessions depending on the day. This group is for riders under the age of 16 years old and will develop their skills further. Riders will be learning to ride 10m & 20m circles, figures of 8 and 3 loop serpentine, as well as learning trot diagonals, correct canter leads and improving overall balance through all paces. Lessons will contain jumping elements - learning to ride over trot poles & learning jump position as well jumping cross pole fences. Hacks will contain the introduction of small canters and riding and road safety elements. 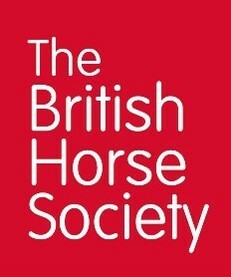 To move from this group riders must be able to ride three ponies to the same standard and trot a 10m circle in a corner, ride serpentine and figures of 8 with correct changes of diagonal, hold a jump position over poles with shorter stirrups and be in control of the horse on hacks in walk and trot (and ideally completed a minimum of two canters out hacking). This group is for riders who will continue the development of their riding skills further. Lessons will cover riding 15m circles, cantering a figure of 8 using simple changes, trot without stirrups, riding a turn on the forehand, direct transitions form halt to trot. The jumping lessons will cover jumping a single fence of 50cm and learning to jump a small 1 and 2 stride double as well as riding a correct track over a small course of fences. To progress from this group riders must be able to identify and change diagonal and canter lead without prompting, ride simple changes in canter on a figure of 8, trot without stirrups, ride correct lines and tracks into small fences and be able to maintain control of the horse in walk, trot and canter on hacks. This lesson is aimed at more experienced younger riders as well as adults, and it will develop and challenge their flat work and jumping skills. The lessons will cover leg yielding, rein back, shoulder in, lateral work and the scales of training, with the jumping side covering fences up to 70cm, including riding a small grid and bounce fences. We recommend a couple of private lessons for real beginners to gain confidence and learn the basics before you join the group lesson. This group is for riders 16 years old and upwards. The group will cover walk, halt, steering, rising and sitting trot, learning to canter whilst working on development of the correct position. Riders will also learn to ride over trot poles and the jump position, as well as go on walk and trot hacks and learn riding and road safety. To progress to the Intermediate group, riders must be able to ride three horse to the same standard in halt, walk, trot and canter all independently. They must be able to canter a 20m circle and ride a figure of 8 without diagonal prompting, as well as hold a basic jump position on the flat and have completed hacks in walk and trot in full control (as well as have ridden successfully a minimum of two small canters). To ride in this group, new riders should ideally have a session of private lessons to get to grips with the basics then move here. This is a group for more experienced riders who are 16 years or older. Riders will be learning to ride 3 and 4 loop serpentine, cantering figures of 8 with simple changes, working without stirrups, improving their sitting trot, learning to ride a turn on the forehand, direct transitions from halt to trot. The jumping lessons will cover the jump position, riding a small fence up to 50cm and learning to jump 1 and 2 stride doubles. Riders will be hacking in walk, trot and canter. Once riders are proficient in all these activities, they can look to progress to the Advanced group. - Had a fall and struggling to get your nerve back? - Are you anxious riding with other people? - Used to enjoy your riding but now anything faster than a trot seems out of reach? Come and ride in our new supportive group session on a Tuesday evening. Purely aimed at building your confidence with other like-minded riders, the session is rider led – riding to a level you feel happy with whilst working on reducing your anxiety in the saddle in order to achieve improvements in your confidence at your own pace. Aimed at rider 15 years old and above who have established walk and trot skills. This group is for children aged three years and upwards. The children will have a brief mini stable management topic for example grooming, and will have an approximately 20 minute pony ride around the farm. A Parent or Guardian is required to lead the pony and children must be supervised by this person at all times. The cost includes the use of our hats and boots. Suitable for older children who would like to try a ride but without the formal setting of a lesson. The session will run for approximately 40 minutes. A group lesson that focuses on working through a selection of unaffiliated Intro/Prelim level dressage tests in our indoor school on a Tuesday evening. The session will be looking to improve shapes and how to ride them correctly and provide a chance to discuss any movements, and practice different elements as required. Normal group lesson rates apply. 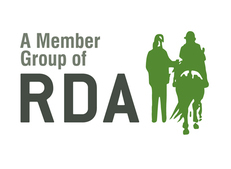 - The scheme allows riders to trial the commitment of part loaning a pony/horse twice week within a structured setting. - The scheme covers riding your loan horse on Thursday afternoons (overall session 4-6pm with riding 4.30-5.30pm) and Sunday lunch times (overall session 12-2pm with riding 1-2pm). - Ridden sessions will be supervised by a member of staff initially, and an adult must be present at all times for a rider who is under 16 years old. 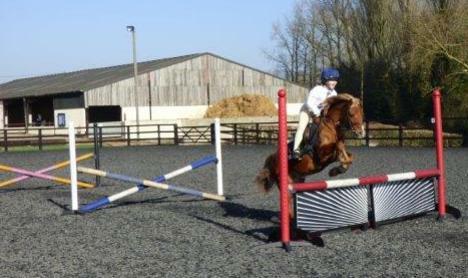 The ridden sessions allow for riders to get used to making their own schooling plans, and experience riding with others in the indoor school on a Thursday and outdoor arena on a Sunday. - FFRS would actively encourage riders to still have regular lessons in order to keep progressing with their ridden skills. - Loan scheme agreements are for 8-week blocks at a time. - A total payment of £320 will be required for the sessions, payable in two amounts of £160 at time of booking and £160 four weeks later. - A waiting list will operate for some horses, and you may be required to return to this list once your scheme session time is up. 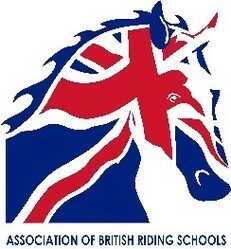 - Riders must be in the Intermediate group or above to participate in the scheme and their regular instructor and the school manager must agree with their horse choice and ability in order to participate. - Any jumping will be within the Sunday ridden session. - The ridden sessions may on occasions be held in other arenas. - Session days cannot be exchanged for other days during the week if you are unable to attend. - Should you be unable to attend one of your days, you are required to let the yard know. - The session will include grooming time, turn out if your horse is not required again for the day, tidying up of stable area and 2 sessions of tack cleaning within the period. - The normal event/show hire will apply if you participate in shows and there is no priority for you over the loan horse, however if a show falls on one of your days, you will be hacking instead of schooling in the arenas. - Not all horses are on the scheme but please get in touch with the manager to discuss your horse requirements. - FFRS reserve the right to terminate agreements immediately should there be any safety or welfare concerns raised. Other terms apply, please get in touch with the Manager if you are interested. If your child or you enjoy gymkhana games and creative lessons, come and join Cecile for one or more of her indoor mounted games sessions. These sessions are ideal for riders who learn through play and creative thinking on horseback rather than a more traditional type lesson. Sessions can include obstacle training, gymkhana, in-hand games, mounted games, relays, barrel racing and much more. Cecile is a qualified Horse Riding Coach, but also an experienced PE Teacher and draws on her experiences to make these sessions a little different for our riders. £25 per ride, booked under our normal lesson terms. The maximum in the group will be 6. Photos from the sessions may be used on our facebook or website, if you do not wish this to happen please notify us in writing. Once booked these events are non-refundable. Achievement milestones via officially recognised awards. Thorough knowledge in all horsemanship skills. 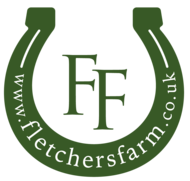 Anyone between the ages of fourteen and eighteen years old who also regularly ride with us and hold a Fletchers Farm Riding School loyalty card. All potential applicants will have to attend a work experience day with us first to assess suitability (e.g. enthusiasm and maturity) to join this scheme. 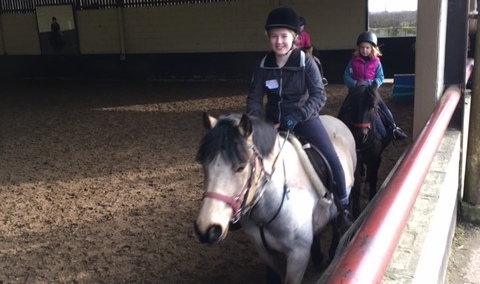 It is essential all young people participating in our Stable Club are very keen to progress their horsemanship skills, otherwise the essential team spirit, peer support and life skills we are aiming to achieve will be lost. If any young person is obviously losing interest or becomes unreliable, then our Stable Club will no longer be suitable for them to participate in. 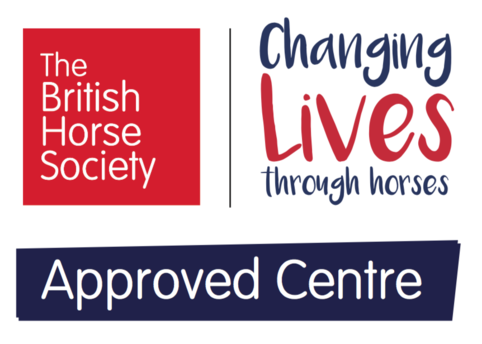 A one-off joining fee of £25.00 which covers costs of working towards and achieving the ABRS Equestrian Care Award (Entry Level). Further levels can be achieved and will cost £20.00 which will be due at the time that the log book is completed (this is subject to possible change). 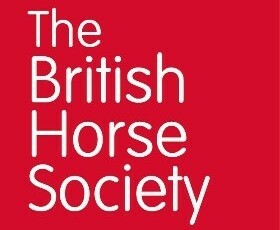 The idea behind this Club is to provide training and experience to target specific examinations, such as the Equestrian Care Awards, but will also provide experience towards Pony Club Tests and The British Horse Stage examinations should the riders be looking to achieve these in the future. Our young people will work with and be guided by a member of staff and will be encouraged to develop their skills further by reading, watching or joining other events or training as they arise at the club or through other events in the local area. To participate in our Stable Club and ensure continuation of learning and skills, it will be necessary for our young people to carry out Work Experience (WE) days. 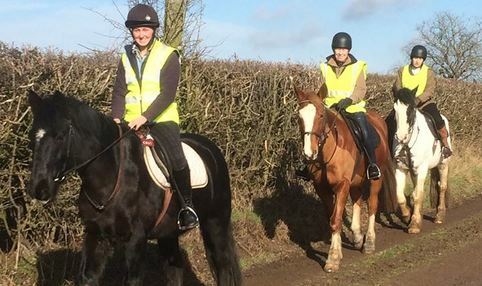 To ensure an all-round education, members of the Stable Club will be able to use their Work Experience days (either gained at weekends or in the holidays) and collect them towards group riding lessons (a one-hour group lesson for every four days collected). Our young people will be given training log books, which they are responsible for keeping safe and storing correctly in our office at the end of the day. We reserve the right to alter the operation of this Club towards improving the services offered. In this instance our Stable Club Members and their parents will be advised of any change.